For the last decade, many nonprofits migrated off their local email servers to Google apps for nonprofits. These were the early cloud migrations. Google was making it easy with 50 free cloud-based accounts allowing branded, professional email without having the expense of managing an Exchange or other email server, the backups and other issues. The stripped down word processor Google Docs allowed for real-time co-editing, though its features were limited. The rest of the office suite was serviceable for the most basic of needs with spreadsheets and presentations, but most nonprofits kept their Microsoft office for content creation. Its google sites tool could be used for quick intranet or team sites offering limited functionality. Microsoft was incredibly slow to figure out their cloud strategy. The technology world was dramatically changing with mobile first application design and cloud-based applications and infrastructure increasingly becoming the norm while Microsoft continued to sell server and office software for an on-premise environment. 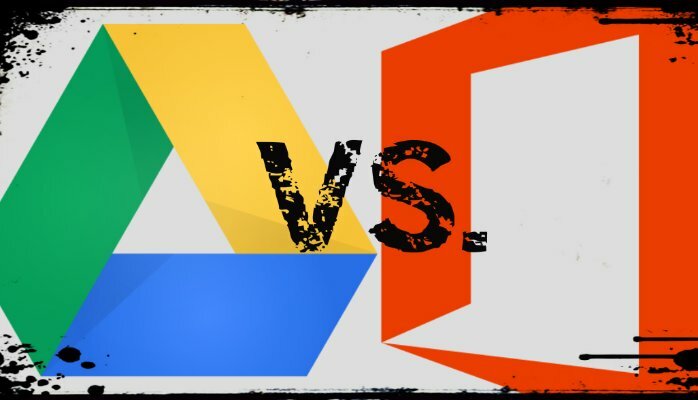 With Apple innovating on the hardware side and Google innovating on the cloud side, Microsoft seemed to be at a loss in terms of its business strategy. The disaster of the operating system release of Windows VISTA was actually an unimportant sideshow to the fact that Microsoft was still making all of its revenue selling desktop and server software. With Microsoft languishing, Google picked up significant market share becoming the email provider for an increasingly number of an organizations. Something interesting happened along the way. Google had a 10 year head start on enterprise cloud for business and nonprofits, but frankly little has been done to improve their apps or innovate within the last decade. Google Docs is not appreciably better than they were ten years ago. If you need to do sophisticated formatting, you still need Microsoft word. If you need more than basic analytics and charts, you use Microsoft Excel. Putting together a quality presentation? You still rely on PowerPoint. You might think an innovative company like Google would have moved a lot faster not only on improving its office productivity software, but to rethink how we "do work". In a role reversal, Microsoft is innovating now at a fast clip introducing new applications for the new set of business requirements like focusing on business intelligence, improving collaboration and developing a social infrastructure, and adding a lot of functionality to their cloud and mobile based office apps and integrating well with existing desktop office apps. Their enterprise cloud platform Office 365 offers significant discounts to nonprofits. I'm no Microsoft fan boy and indeed have been a frequent critic, but they are executing much better than Google over the last 3 years. Instead of competing on functionality and ease of use, Google recently introduced pricing discounts on already cheap subscription-based model. Google is now left to compete on price? Google was a lot more innovative than that back in the day. Meanwhile Microsoft is innovating at faster clip than ever. I'm wondering if perhaps Google has lost its way. Over the coming weeks, we'll explore both options for nonprofits.